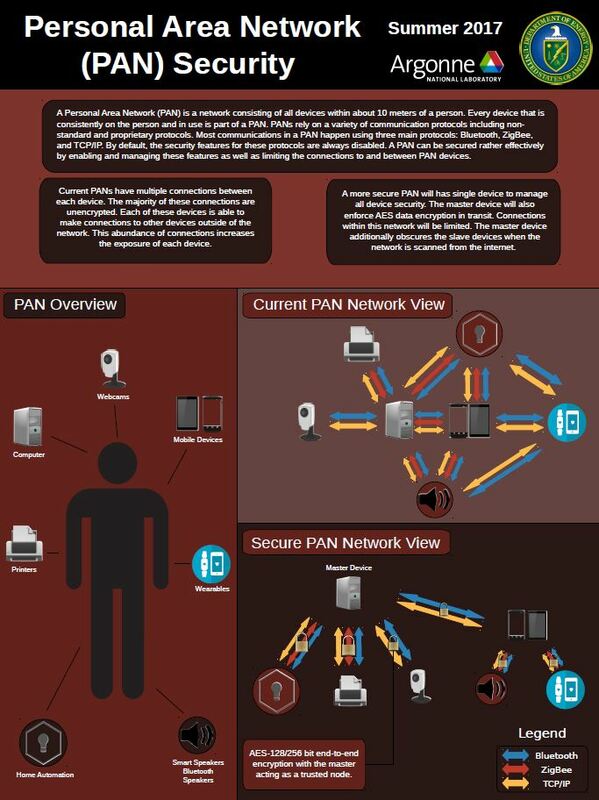 Personal Area Networks (PANs) are networks used for data trans-mission amongst our computers, tablets, telephone, and Blue-tooth enabled devices. With the ever-increasing enabled devices being added to our homes and places of work, there is a large concern around securing our PANs. The reach is limitless when you review the types of technology that are being developed: smart refrigerators that let you know when you need to go to the grocery store, smart thermo-stats that can tell when you are home and when you aren’t home by “watching” you. These technologies are all a part of your personal area network. Many of these devices are either wire-less or Bluetooth devices and are only as secure as the person using these devices is. How can we make these networks more secure without leaving that responsibility solely on the user.